This is a very fine example of a bespoke built ABC Boat. Built to be a small hire boat, she has ample space for 4+, decent engine and light interior, with everything you need for weeks on the water or long-distance cruising. 4 Bunks to aft, immediately through the companionway, midships WC/Shower compartment, which can be completely enclosed. All leads to the galley with good full cooker and fridge and plenty of workspace. A large, open plan saloon is forward and the L-shaped seating arrangement could easily be changed for a convertible double if you wished. A solid fuel stove is forward. Full gas-fired, heating is also installed to make it very cosy indeed for Winter cruising. With a new BSC, engine service and a new paint job, I can highly recommend taking a closer look at her. 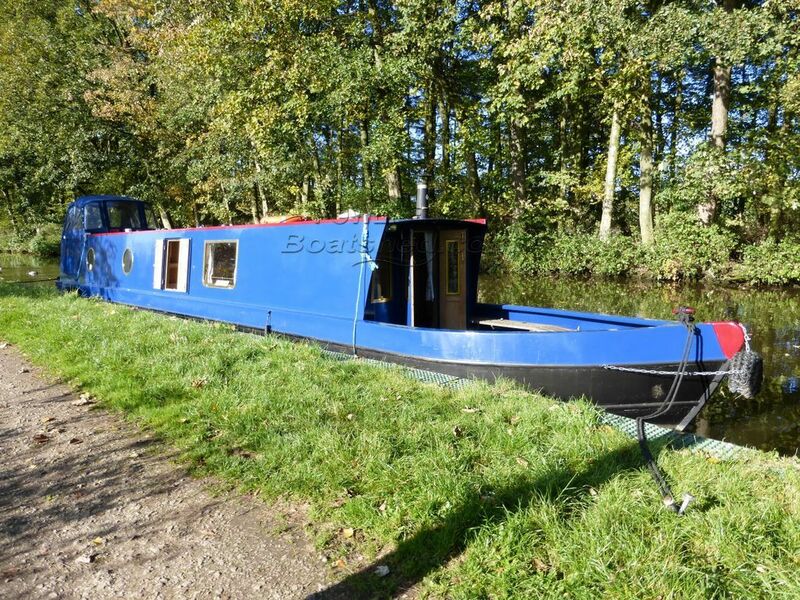 This ABC Narrowboat 48ft has been personally photographed and viewed by Paul Watson of Boatshed Yorkshire. Click here for contact details.